A couple of months ago, I had the sad situation most girls dread: my hairdresser was leaving. 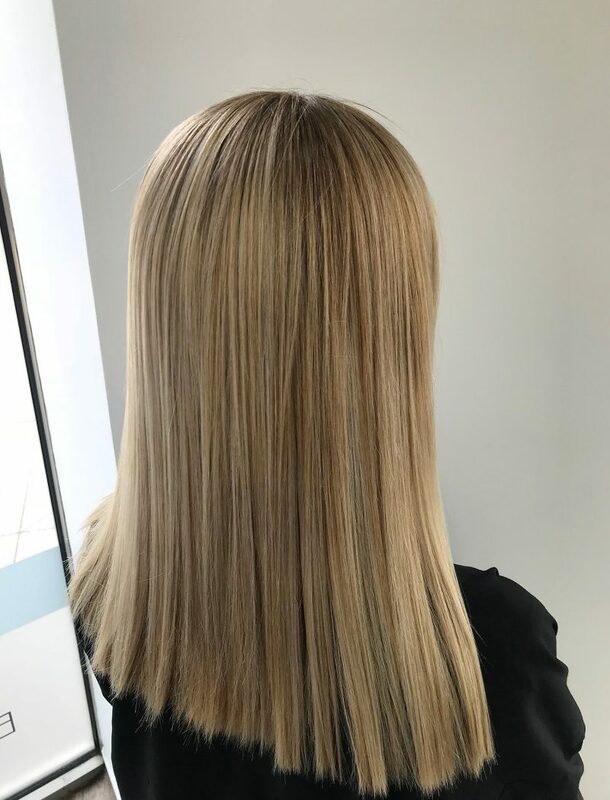 My trusty hairdresser who is to thank for my highlighted blonde hair and ever-so-blunt hair cut, was off on a journey to a further afield salon, and that was it. It was time for goodbyes. Ever feel like parting ways with your hairdresser can actually be quite similar to a break up? I guess in a way, it is a break up. And I was left with a huge gap to fill. I was in need of a new salon and a new hairdresser in Manchester, so the hunt began. I wanted luxury, but not over-the-top. I wanted talent hair stylists, but a warm, friendly service. And more importantly, I wanted to feel I could trust my ‘new’ hair salon to make me happy with my hair. 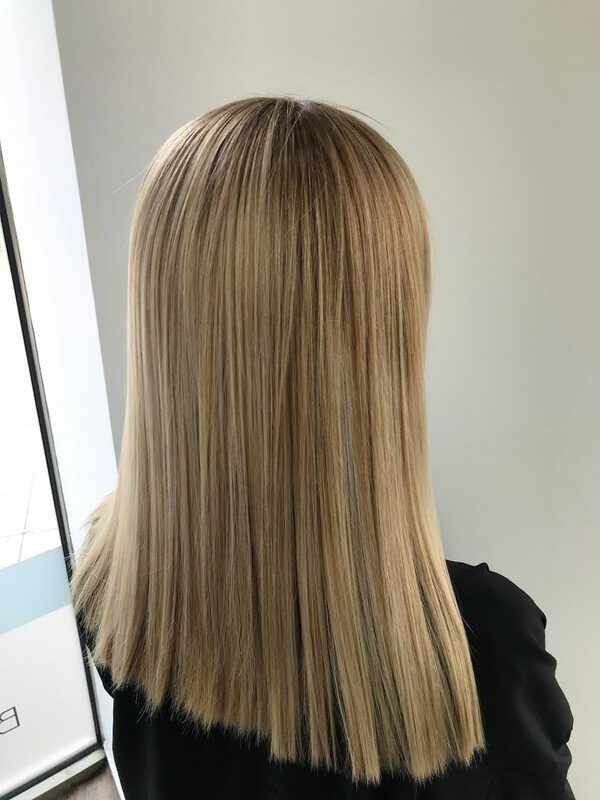 My recent hair style was a balayage creation – for those who don’t know, that’s blonde blended through my hair but stopping at the roots, where a shade as close to my natural colour is worked through the roots to break up that harsh blonde root line. As much as I loved it, the brown had gone too warm, leaving a gingery band across my roots. 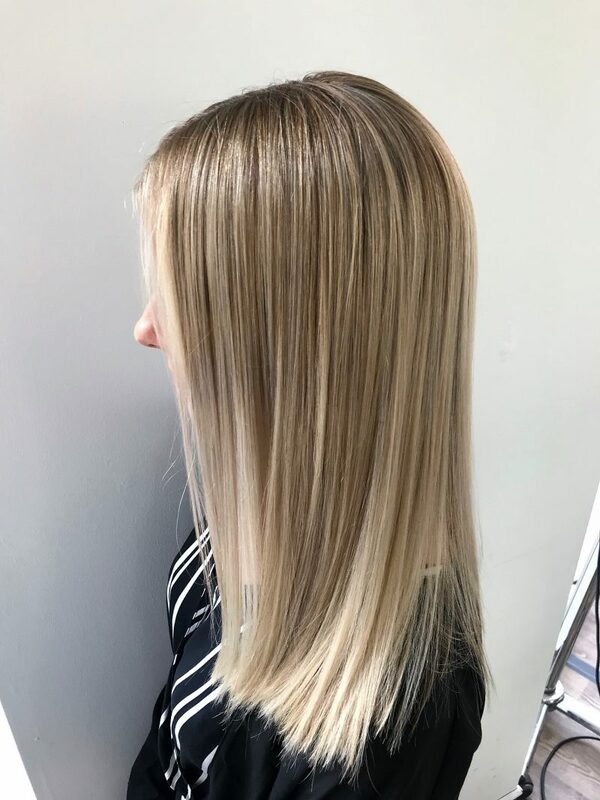 I wanted to go back to my usual – fine highlights of light blonde weaved through the root, giving a natural blonde look. 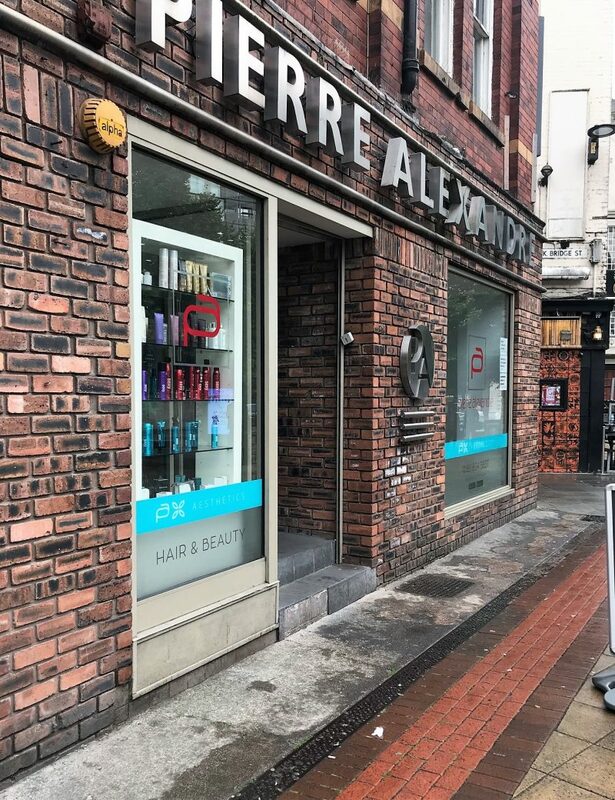 After growing up in Manchester and living here all my life, I decided to check out a salon I’ve seen for many many years, but never experienced: Pierre Alexandre. 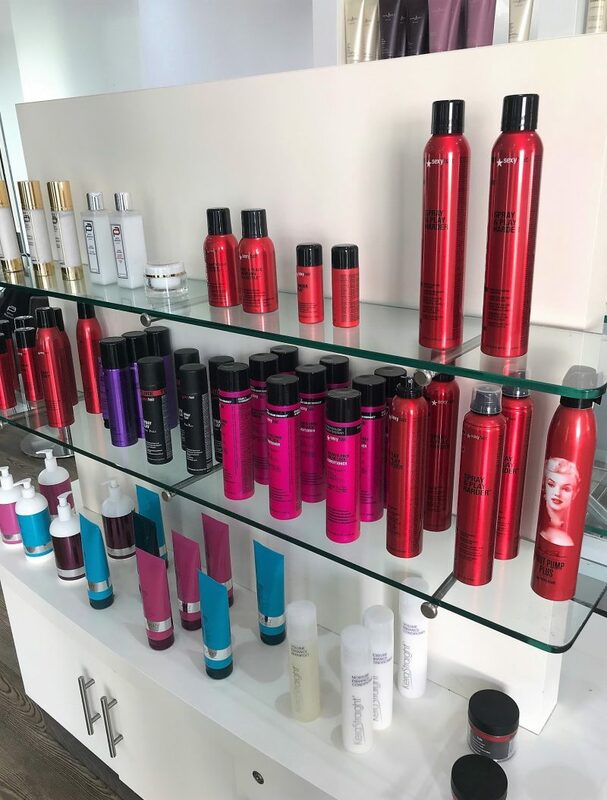 Pierre Alexandre in Manchester is a globally recognised hairdressing salon, known for being a unisex salon and also having other salons around the UK. As well as the King Street branch (the one I was mainly familiar with), they have a Didsbury salon, a Leeds Salon, and also one in Birmingham. What I wasn’t aware of, is that they actually have a huge beauty offering too, making them a destination for hair and beauty in Manchester. 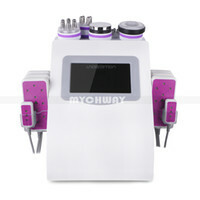 Laser hair removal, manicures, skin peels, facials, non-surgical facelifts…. you name it. Hayley did a full consultation with me, assessing the shades already in my hair, and understanding that the band of warmth was quite large and would need just one shade of lightener to break it up. She explained she would pack in the foils around my whole head and do them fine, to break up as much root and the warmth as possible. Olaplex is formulated to protect the hair from chemical damage. So for me, who has a full head of blonde, it helps to keep my hair as strong and in as good condition as possible. 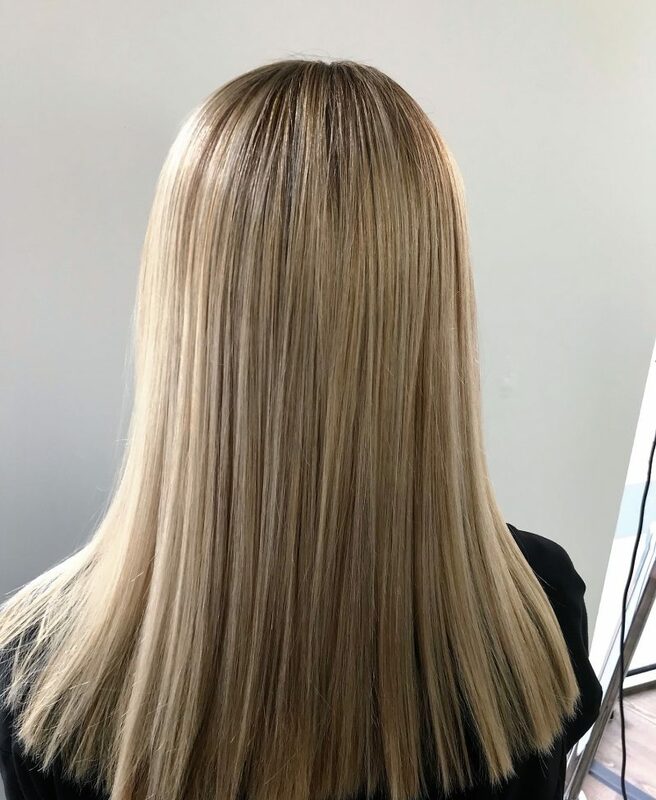 Olaplex has become a go-to for many colourists as a means of keeping a client’s hair in optimum condition during a chemical treatment, which is inevitably destructive. The bonds of my hair are no doubt damaged, fragmented, or shattered from over-bleaching, so it was great to be offered this treatment. I have to admit – I’ve not really been offered this before, and I kinda think its pretty crucial! For my hair colour treatment, the Olaplex was added directly to my colour, helping to condition and look after my hair during the colouring process. Hayley left the foils to develop for around 45 minutes, before rinsing off and adding a toner to my hair to get rid of any yellow, brassy tones to the blonde, leaving a subtle, natural looking cooler blonde. After drying it, I was left with the most natural, fine and perfectly blended blonde. I didn’t know what to expect at first, you never know if a new hairdresser will do the highlights too chunky, leave the colour on a little too long, make it too bright/too dull… but this was literally perfect. The best thing is, I truly felt like I had a premium, luxury service, from the minute I stepped into the beautiful Pierre Alexandre salon, at Manchester’s King Street. But the prices aren’t the same extortionate prices you can expect to pay for a top city centre salon. At my old salon, I could easily spend £170 on a colour and a cut. But here, a full head of highlights starts at £60-£80, with Olaplex starting at £25 for one session. Obviously, it’s all tailored to the length/thickness of your hair, and how much is needed to be done, but I found it much more affordable than my previous top-name salon. I can’t tell you how happy I am to have given Pierre Alexandre a try, at a time when I was at a loss of who to turn to, to become a potential new hairdressers for me. 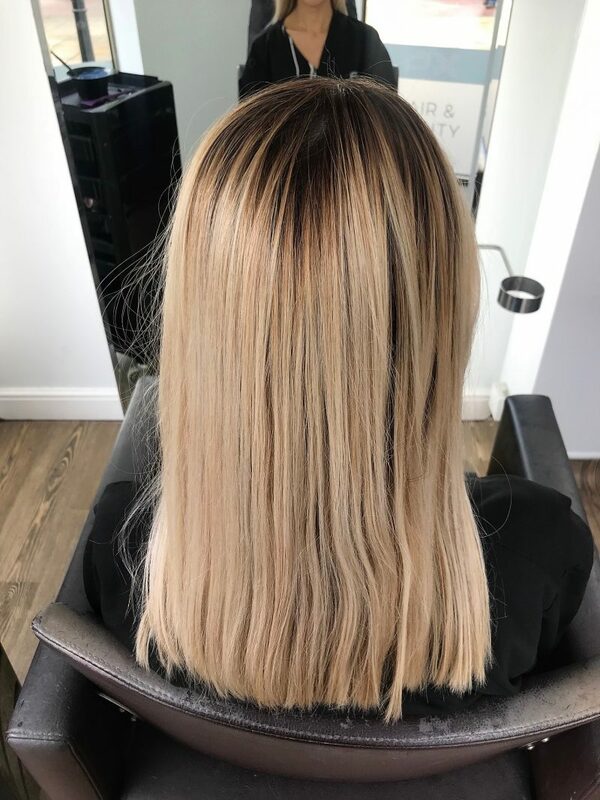 The staff were extremely professional, and Hayley really knew everything there was to know about colouring, and gave the best advice and tips. I am so so happy with the outcome of my hair. There’s now no warm band, and the blonde is shadowed beautifully into my parting, so that when it starts to grow, I won’t be left with a harsh contrasting root line. 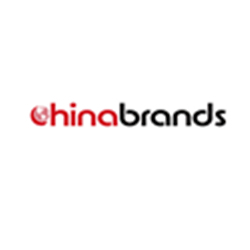 For more information on this salon, check them out here. 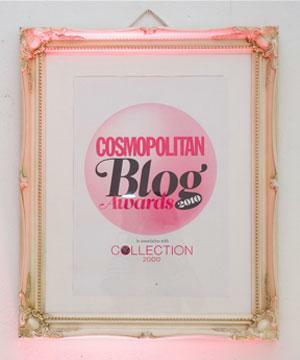 I’ll be exploring some of their beauty offerings later this month too, so keep your eyes out for this!